Their news was very sudden, so I didn’t have much time to consider my position, but I knew I had to act quickly before I could think better of it. Obviously this is a scary and sad decision for me to make. I have been with PokerStars since 2007 and Team Pro has been a core part of my identity. Obviously I will miss the money and am nervous of managing without it. Also, ironically enough, my plan for the next year or two had been to travel less and play more online. But I can’t hang around, sleep on it, have meetings and talk myself into staying, when my gut tells me that the right thing is to walk away. This is no criticism of PokerStars itself: business is business, they are providing a new service that people want, and I know they intend to abide by some key principles of responsible gaming. It’s not anti-casino either; I spend a lot of time in casinos, and I have been known to indulge in live table gaming. But I cannot professionally and publicly endorse it, even passively by silence with my name still over the shop. Poker is the game I love, poker is what I signed up to promote. The question I’m probably asked most often in interviews is about the danger of addiction, going skint and so on. I’m always careful to explain the difference between the essentially fair nature of poker, where we all take each other on with the same basic chance, and those casino games at unfavourable odds which can be (especially online) so dangerous for the vulnerable or desperate. Although PokerStars assured me I would not have to actively promote the casino arm, I know in my heart that continuing in my current role could risk helping to send people to a place where they would encounter something I think is dangerous. That’s not the way I want to make a living. I will watch from the outside to see what the new site looks like, how safe and responsible it seems, how the advertising feels and the direction the company takes. Maybe in the future I will be able to work with PokerStars again on something which is pure poker. I don’t know, but certainly there are no hard feelings between me and that company which has done so much for the beautiful game over the last decade. They have been gracious and understanding about my decision. Many of the people there are good friends of mine and I’ll miss working with them. The EPT and UKIPT are great tours which I will continue to play, if a little less often. I have had seven wonderful years as a proud member of Team Pro and I wish it wasn’t over. This is a very sad and regretful day for me. I still believe that PokerStars is, at time of writing, the best place to play online poker. Players and gamblers of the world: I’m sure I’ll still see you all across the occasional baize table. Best wishes to all at PokerStars, whether working within the company, wearing the badge or giving action on the software. Play safely, be careful and good luck. There are a precious few that would give up such a deal based on their principles. These deals are always referred to as sponsorships and we forget that endorsement flows flows down the other side. You haven’t and should be commended for it. Very impressive. A brave move, and I think the right one. Even speaking as an net denzien, I think there’s a danger that comes from moving real money into a set-up that can’t be effectively policed. Have to say, well done Victoria. So good to see Integrity come to the fore. This is saddening, always enjoyed your writing, your interviews and the way you carried yourself both in life and on the felt. So much of the brand loyalty with PokerStars was being generated through Isai behind the scenes and people like yourself in the public.. Much respect for your decision, just a sobering reality of where online poker is moving..
Quite surprised with your decision i know why you have come to this conclusion. But i think you have not really thought this through, Pokerstars starting to offer a sportsbook and casino is typical of how a big business operates they have to offer at least the same as there rivals. 888 is my joint favorite site and they offer a wide variety of products, but the poker and promos for poker are great. So it is possible for these sites to get it right and i am sure pokerstars will get the balance right. I thought you would have waited to see what it was like. Hats off to doing what you obviously think is right anyway, i bet there wont be many other Pro’s who make a similar bold decision. I have long been an admirer of your wit and intelligence although not a poker player myself. Having suffered from addiction to alcohol in the past I have always been wary of potentially addictive things such as gambling. Indeed my son’s fondness for Poker was a cause for concern at one point. I feel very uncomfortable with the way gambling has pervaded our everyday lives and so your stance on this has increased my admiration one hundredfold. My admiration isn’t currency but nor is it dealt out cheaply. Good for you! Absolutely brilliant move by you in that you are standing behind your beliefs and trusting your instincts. Continued success to you and yours Vicki. You are now more than a poker ambassador, you are a morality and values ambassador too. Good on ya for sticking to your beliefs! Will be sad to see you go, but after reading your book and seeing first hand what gambling can do to people’s lives I think you have made a correct decision Wishing you well and hope to play against you one day. Well done for standing up to your principles. We will of course still see you on TV in Only Connect and Have I Got News For You. I respect your decision but I’m torn as to if I feel it was ultimately the right move. You are worried that you would be representing something you believe is potentially dangerous and inherently unfavorable from an odds perspective. However, people with bad gambling habits are on Pokerstars everyday, playing poker, reloading and dumping cash at all limits and all games. How is that any different? If a person has a problem, they will find ways to blow their money, either at a poker table or at a virtual slot machine. Simply put, people with “problems” will find the unfavorable odds situations and dump their money into it, poker is no different. I think in your role at Pokerstars you had the opportunity to be in the position to influence players and push the importance of self-control, bankroll management and safe gambling. Why give up a great sought after Team Pro role? What does that move accomplish? Stepping away in my opinion will have less impact than staying on and promoting your values from a position of influence…and that was a paid position! But the bottom line is, you did what you felt was right and if you can do that your whole life you will happy at the end of it. It is the things we suffer for that prove the principles we believe to be right. You are worthy of recognition and commendation. Know that. Much, much, much respect to you Vicki. Next stop politics, hopefully. Had A great deal of respect for you before this. Now it’s completely of the scale. Well done and thankyou for showing such integrity! I see a lot of people badly effected by increasingly easy to access casino games. Not good. Good luck on the tables and in life. As a stars supernova the last few years and 2+2 mod I know that I, and many others, are worried about the way things are going. You’re a shining example of someone standing up for what they believe at a personal cost. Well played and good luck. Massive respect for you decision. I don not follow you in general but every time I read something about you I have been impressed of how well you have behaved and how smart you are. Good luck with everything! Wow, not that I share your view of online casino games as being ‘dangerous’, but damn girl; You’ve earned my respect as being a honorable and a person with great character - A real stand up gal! Fantastic to see someone put integrity before profit. Good on you Vicky, much respect. Well said Vicky and good luck. Impressed with your integrity Victoria! Very impressive, Vicky. As others have said, it’s not something many would be able to do. Continue to use your position to highlight the dangerous side of gambling, with or without team pro! Keep up the good work. Its rare that a celeb one admires shows a whole heap of integrity. Too often its the feet of clay which appear, as large sums of money are offered or threatened to be withdrawn. You’ll note that the vast majority of comments here praise your decision. I’ll just add my voice in saying well done. Though I may be a nobody, you have won my respect, well done. It’s a moral decision and you should be proud to make it (and happy to have enough financial means that you can). There will be other ways to supplement income. i imagined your voice while reading this :) a beautiful character explains it self with a beatiful voice..
Good for you Vicky, important to stand by your principles in your life. I’m disappointed that Pokerstars will no longer be just about poker, hope the other sh1t isn’t shoved in our faces. If it is, then many more will leave. Such a lot of respect for your integrity in our industry. Will really miss your representation, hope to still play on your table at the IOM UKIPT. Victoria. My passion for you grows.First Balderdash, then Connecting, then QT, then QI, then HIGNFY, and now the principled stand on the on-line poverty curse. I’m almost speechless. Bless you. You have been a great member of team pro for as long as I have had an interest in poker and I will be sorry to see you leave. You are a person I admire greatly and you have risen further in my estimations by your actions today. All the best for the future and may you win all your races and lets have a third EPT crown soon. You are a true Queen of Poker Victoria! I lack words to describe how much I admire your decision which shows great courage, wisdom and self-awareness. You’ve always been the greatest ambassador of poker and my favourite player. I will continue to observe your career and support you on your every tournament. It’s an extremely sad day for international poker. TBH I recon it’s the beginning of the end of poker I know. Dear Victoria, thank you for all your effort, fun and knowledge you gave to us. Stay safe and good luck in your future endeavours. I hope poker someday will return to the right track…. Much respect to you Vicky for fighting along the good side! Keep it up and stay strong. It’s a constant, lifetime battle. You’ve temporarily restored my faith in humanity. Mad respect to you Victoria. A brave move, a bold move, but obviously one based on your own morals and principles. Integrity counts for a lot in poker and you’ve played a strong hand here, Vicky. Well done. A principled, and hence eminently admirable, decision. I’m delighted to hear of this. Especially when you say you will actually miss the money. It means you made a hard decision and stuck by your beliefs. Well done! This is what separates us from the Americans. Well one of the things. Imagine Phil Hellmuth doing this? I applaud your leaving of PokerStars and your reasons for doing so. You have my great respect and admiration. much respect for this! cant describe in words how good it feels to see people acting responsibly towards other human beeings. I just want to say I have the upmost respect for you and the decision you have made. This must have been a very difficult move but to have the courage to leave Stars on a matter of principle is something very few would have done. I also don’t like the addition of casino games on Stars even though it will certainly be profitable for them. I sincerely wish you all the best in the future. Well played! As well as being the right move from a principle point of view, it sends a strong message about how poker differs from most gambling games, that can only help in areas where we are arguing to keep it legal. Don’t worry about the money - the poker gods will take note and reward you appropriately. A very admirable stance (and ultimately the correct decision imho), Vicky. Good luck in the future. You can always send your hubby out to do a few more TV shows to make up the money! A brave and admirable decision, good on you. Oh go on say it VC-M! PS are absolute greedy bounders for a decision that preying on the vulnerable in the great mismatched online casino con. None of the other sites are any better sadly, its one great robbing bandwagon sucking the cash and life out of the game we love and into the operators pockets. 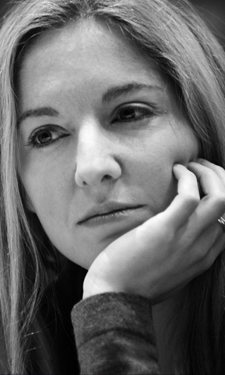 My respect for Ms Coren, already considerable, is further enhanced by this decision on her part. if you dont want to lose money on a gambling website,which is loaded against you, dont go on it. its not rocket science. If u need the money, come kill the games at the Victoria again, Victoria. I promise u a G&T. Respect Victoria! hopefully your move will make the change, maybe other team pro`s will follow ur move and pokerstars may be forced to abandon the idea of casino games on pokerstars. Wish u only the best ! you done well and hopefully will be getting only good things coming back to you in return. Dear Vicky, you are not only a very intelligent and witty woman, but with this gesture of the heart you show that there is still warmth in a society that is getting more individual by the day. And as long as we believe in that and in ourselves, we can make a difference to those around us we care about, whether it be through a gesture, words of comfort or speaking out to protect those we don’t even know, but feel connected to anyway. I already admired and respected you for who you are and this only emphasized what I already knew for a long time: this world needs more Vicky Coren. You rock girl. Awesome Vicky! Ever since Amaya took over PS I have been increasingly dissatisfied with the site. Now that they add a casino to the site I might start looking for a different place to play poker. After this move from you Vicky, you are now my biggest star in the poker world! Most important in life is to walk the talk… so Great respect! This is the most admirable decision to be made against the stream of doing no matter what for a payday. I would be so excited and honored to have you at my poker podcast (which has issued 190 episodes so far and lots of great poker players in interviews). The last episode featured Daniel Negreanu and I really want our listeners to also hear the alternative point of view on this matter. Well done Vicky. I’m proud of you. Pokerstars are now charging 2.5% for converting deposits into dollars so players will lose 5% overall when cashing in. I came across this news tonight and as an ex amateur poker player that descended into a life of utter chaos after succumbing to the horrors of online gaming I stand up and applaud your decision. I am currently 5 years bet free and had to leave poker behind which I loved and incidentally never gambled big on. I have always loved watching the nature in which you play the game and my respect for that decision knows no bounds. Well done. Like I do with my gambling, I’m going to go against the crowd here. Gambling is only bad if you lose, and then only really bad if you lose big. There will *always* be a small percentage of problem gamblers (even among those who play poker). I’d like to see more education regarding odds, chance and risk. Not just in relation to sports and gaming, but concerning life itself - we all gamble every day, whether we are aware of it or not. Respect your choice Vicky, but I would have stayed and educated rather than walked away. even though i applaud victoria’s stand I dont believe poker is any different, I have sat on the tables and watched these pros prey on the vulnerable and naive new comers. Wow. I’ve always thought u were great. U just proved it!! V.M FOR NO.10! You are an amazing person, Wow. You are one of the best personalities to ever be part of team pro. Very powerful statement. You deserve so much respect for this decision. For real. +Ev move. I think the REAL poker players community should combine our minds and skills to create a new brand of online poker, someday, free of dangerously addictive casino BS. You and others like Dan Colman are the real heroes of the game. There’s no right way to sugar-coat it. Gambling is gambling. Victoria you are amazing! Such good writing on such a sad subject. I wish you well in the future! I thank you so much for your decision and this article. As a former gambling addict, I’m trying to inform the German society about the new trends which are developing esp on Pokerstars. I’m writing a blog myself and your move to terminate your endorsement contract is a very strong statement. Thank you much. Even the new game “Spin&Go;” is just a new trick to let the addicts stick to Pokerstars. It has nothing to do with the regular poker game. Absolute props for your tireless ethics. Very well done indeed.